What is palliative care? Dr Jackie Campbell is a veterinarian who has devoted her career to this relatively new area in veterinary practice. 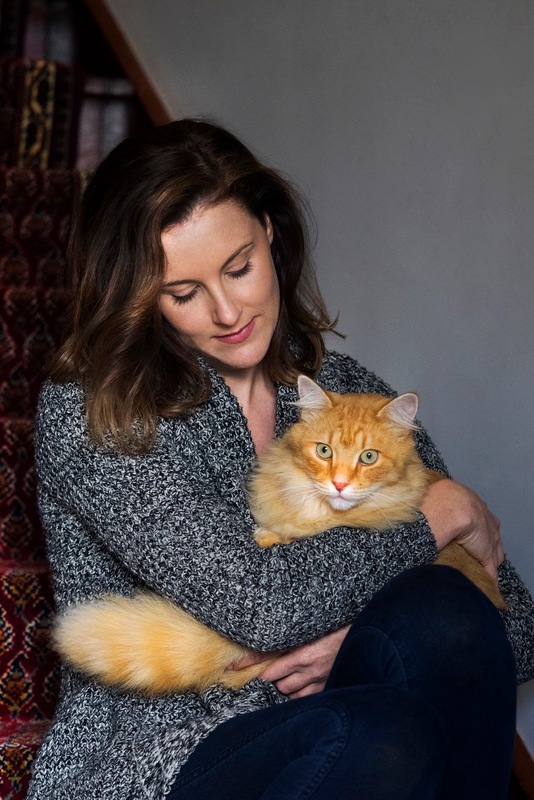 She graduated from the University of Queensland in 2006, and after nine years in practice opened Sunset Vets to focus on palliative care (also known as hospice). and founder of Pets in the Park in Brisbane (it launched in February this year, serving pet owners who are homeless or at risk of homelessness). 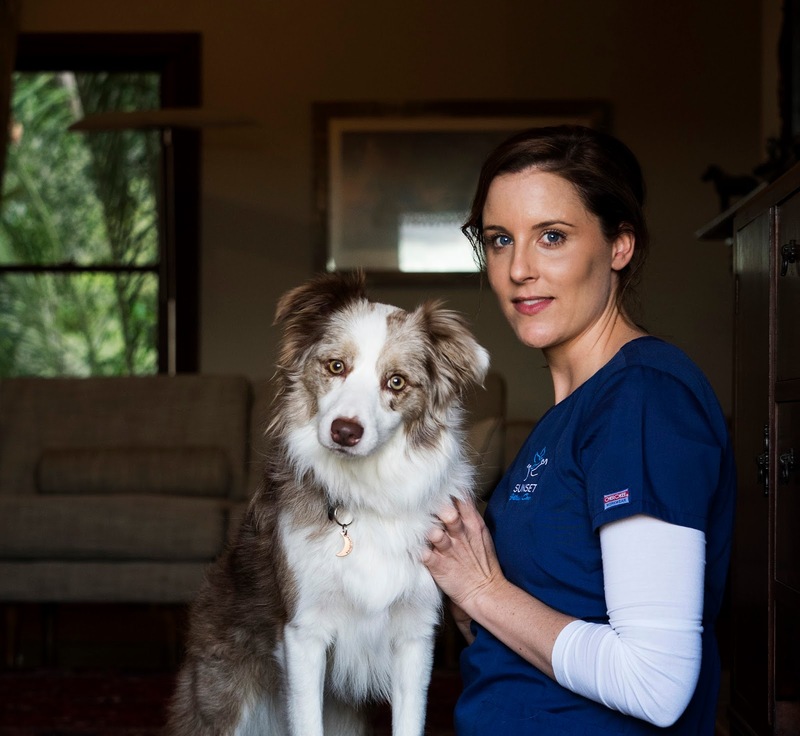 She holds a Diploma in Canine Myotherapy and is one of the inaugural intake for the Animal Hospice and Palliative Care Certification Program (USA). Jackie took some time to answer our questions. How do you describe your day job? Looking back, I think the ideals of palliative care were always something that resonated with me as a clinician, it’s just there wasn’t really an official title for it within the veterinary industry. I’ve always had an interest in pain management and in particular, in the chronic and maladaptive pain we see with so many of our osteoarthritis patients. I also struggled with watching how some of the difficult conversations around end-of-life care played out in the clinic. Whilst hospitals are absolutely the place to be when you have treatable disease, what happens when it is beyond our capacity to cure? It means a shift in the goal posts, where our primary focus becomes comfort instead of the illness itself and I find a lot of clients can find themselves quite lost when this happens. We’re there to remind them of what’s important both medically and emotionally and help ensure their pet isn’t suffering while families are struggling to find their feet. It’s a term we hear a lot, but what is palliative care when it comes to animals? Palliative care refers to the ideals of ensuring patient comfort, providing access to individualised age-appropriate health care and supporting families through the difficulties of end-of-life decision making. In our case, this is something we look to do with families at home but clinics can start to implement palliative care plans as well. It’s as much about looking after the family as it is about the pet because ultimately, families that are better prepared emotionally, make better decisions for their pets. So many reasons – our pets are living so much longer, in most part due to better preventative care. I worry though, that this can sometimes mean we have a higher number of pets with more chronic illness and disease and I think we have a huge obligation to help clearly explain to clients what their pets are going through. One of the things which palliative care vets get really good at is ‘humanising’ the disease process such that we can readily explain what a pet is likely to be feeling. It’s so common for owners of cats with kidney failure to feel like their cat is comfortable because it’s sleeping well. When we extrapolate from what human patients experience, it’s likely these cats are sleeping a lot because they have horrible ketotic headaches or overwhelming lethargy due to their anaemia, neither of which sound fun to me. For a lot of owners, if we are able to gently explain this to them, we find they choose differently about their pet’s care than they would otherwise have done. It’s also incredibly important for us to do better at supporting the families who are doing all the caring and I think this is something that can get missed in the business of general practice. When we suspect time is limited it’s crucially important that people enjoy the time they have left with their pets and we will sometimes actively remind them to stop and take a breath. It can be easy to get so caught up in the illness and the medications that we miss the important stuff. We also know that better prepared clients not only recover quicker from the loss of a pet but have less anticipatory grief. 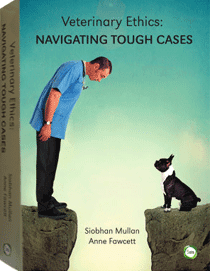 What principles do you consider when developing a treatment plan for a veterinary patient at the end of their life? A care plan has three basic components; medical, nursing and client care. 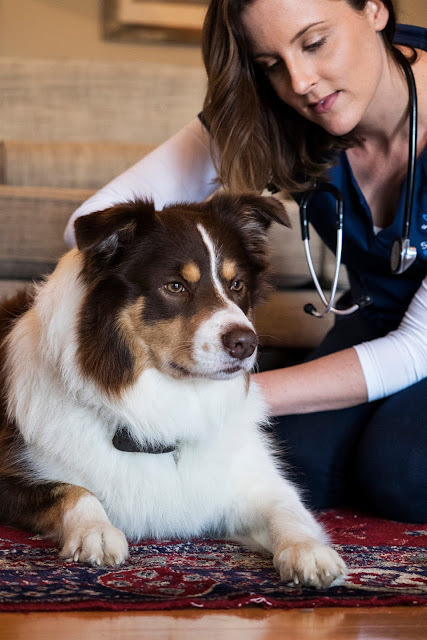 As vets, our tendency is to get most excited about the medical plan but the reality is that in so many cases the nursing and the client care have even more influence on the patient’s day to day quality of life. The aim of a palliative care vet is to try and balance these three elements and we are often working very closely with primary care vets to ensure the client is understanding everything and engaged in decisions about the pet’s care. It has been said that veterinarians lose their patients five times at the rate of doctors, and this is one factor behind compassion fatigue. How do you cope in a role with so many patients approaching the end of their life? Interestingly, I feel less compassion fatigue with the work I do now than I did when I was in general practice. I think a huge part of this is that our clients are typically very dedicated and so we are able to really advocate for what is best for our patients. We are working with families who are quality of life focused. If we are unable to satisfactorily control a patient’s symptoms and quality of life is reducing, then we spend a lot of time counselling owners about their options and helping them plan for a peaceful euthanasia. The more empowered I can make my clients the better and my hope is that starting a conversation about palliative care will actually reduce the number of ‘emergency’ euthanasia’s. The mad rush to the clinic with a crashing animal is stressful for everyone and something we work so hard with families to avoid. Do you find that clients seek you out? Absolutely - although we are also seeing more and more referrals from primary care veterinarians and I think this is to do with the fact that vets are understanding that some of these conversations are better had outside the hospital walls. The clinic can be a stressful environment and I commonly hear that clients have elected to change vet clinics after the loss of a pet because they can’t face going back into a building associated with their grief. Working with a palliative care team can definitely help mitigate some of these issues and preserve the vet-client relationship in the long term. Why do you think palliative care of animals isn’t something veterinarians commonly offer? I spent nine years in general practice before moving into palliative care full time and I suspect the short answer to that question is time and knowledge. This kind of care takes a lot of time and energy. Our vets are typically only seeing 3 or 4 patients a day and for most clinics this just isn’t feasible. That said, some of the ideals of palliative care can definitely be integrated into the clinic environment and we are already working with some of the more progressive clinics in our area to rethink their approach to end-of-life care. What non-human(s) do you share your life with and how did you meet? My life right now revolves completely around one very special cat called Jemima. We met when I was vet nursing at a clinic in my second year of Uni and as I was soon after to find out, she is the quintessential only child. Her monumental hissy fits at the prospect of another animal in her house is the main reason why I am not guilty of rescuing half the animal kingdom like so many others I know. Don’t see death itself as a failure of care. If we can influence the how and the why in which our patients pass, this is where you will make the most difference. Thank you Jackie. You can read more about Jackie on her website, or follow her on facebook and instagram.